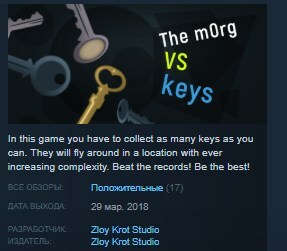 In this game you have to collect as many keys as you can. They will fly around in a location with ever increasing complexity. Beat the records! Be the best!